October 16th is National Feral Cat Day. This day is celebrated on October 16th every year and was first created in 2001 by Alley Cat Allies to raise awareness about feral cats and help promote Trap-Neuter-Return (TNR) programs. Feral cats have lived alongside people for more than 10,000 years. They are also commonly known as outdoor cats or community cats. Feral cats live outside in groups known as "colonies". A feral cat can be just as healthy as an indoor cat, but are not socialized to people very well. Therefore, they are not candidates for adoption most of the time. Feral cats can thrive in every type of landscape. TNR is a humane way of caring for feral cats and managing the growth of feral cat colonies. How does it work? Caretakers of feral cats set up a plan to catch them and then bring them to be spayed or neutered. Some shelters have TNR programs. After the feral cat is recovered from their surgery, they can be released back to their colony. Now, they are no longer able to reproduce which helps keep the population down. Even with TNR programs set up in many places, feral cats are still brought to shelters where they will ultimately die because they are not fit for adoption. The shelter system is the number one cause of death for feral cats in the United States. Feral cat at my mom's house. Sometimes, feral cats can be adopted out through barn cat programs from shelters to help rural farmers and growers keep the rodent population down on their property. These cats are fed, cared for, and provided shelter by the farmers. There are many people who are compassionate enough to care for feral cats in their communities. These people might leave food or water out for the cats or build them shelters when the weather gets cold. They may also provide them with medical care when needed. To these people on National Feral Cat Day, we say thank you for caring for these cats when no one else will. 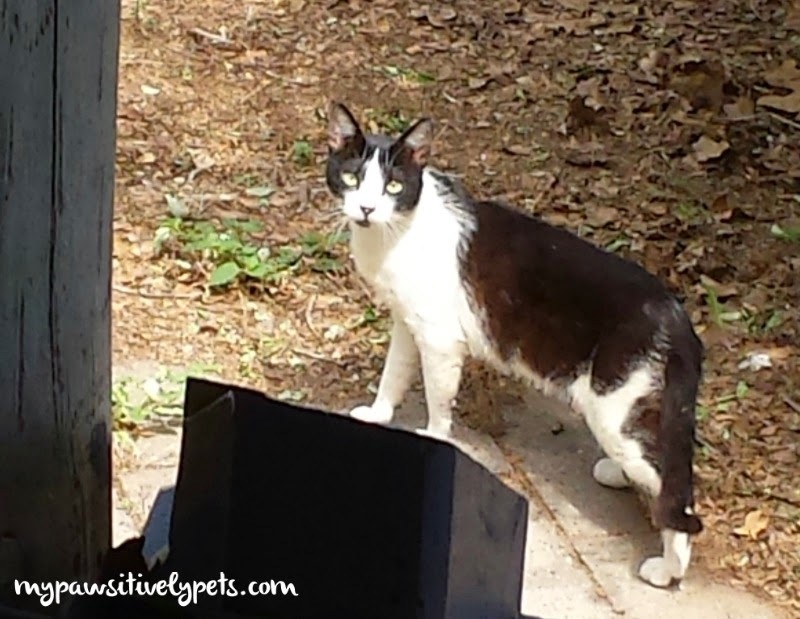 Have you ever cared for a feral cat? What kind of things did you do for them? We love all feral kitties and we really love the ones we care for every single day. Love ferals too and love the name community cats. Have a tremendous Thursday. That's awesome :) Thank you for taking the time to have her spayed and caring for her! I hope there is always someone who protects the ferals. Like the Cat-Lady we had here wo brought food to the barn where they lived and who had an eye on the area. Me too Easy :) Unfortunately, they do have a lot of enemies too sometimes. 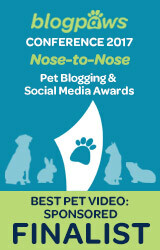 Soooo happy to see so many pawticipating! 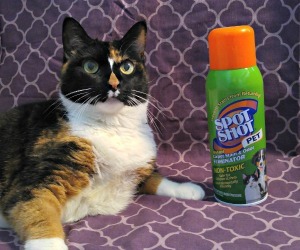 I just learned on another blog that today is Feral Cat Day! I had no idea! We always feel bad for the ferals. We have several organizations here that help trap them, neuter them and adopt them. We had no idea there was a day dedicated to them and happy to see that there is so the word can be spread! Bets & Co- Sweet. Dog. Life. 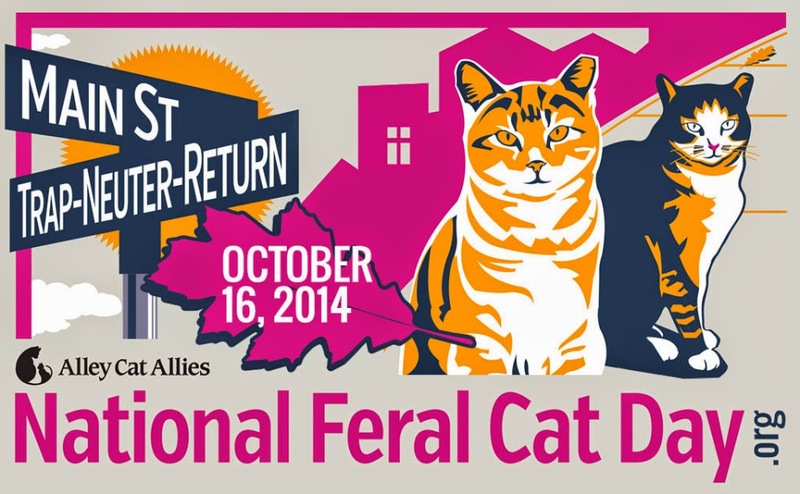 I had no idea there was a day dedicated to ferals, but we are happy now knowing there is! I know how it is Boomer! Glad you finally decided for a life on the inside though. Thankfully there aren't any around here. I suppose in the city or the country there are, but here in our area, never seen any. One of our cats came from a cat colony. The caretaker of the colony noticed how friendly he was when he showed up one day. After she trapped him, and he was neutered, she kept him at home a few days while trying to find a home for him before returning him to the colony. We took him in, and he has turned out to be the most lovable and most gentle cat we have ever had. That's awesome! The Alley Cat Allies website says they are "unadoptable" but I've tamed quite a few before to the point that they could have totally come to live inside. Very informative post. We hope that more and more people learn about how they can help the feral kitties. 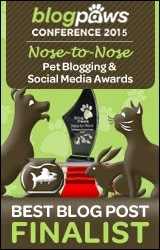 Thank you for posting about feral kitties. They need all the help we can give them! Maybe one day you will Dolly. Hope your brofur is doing well. MOL, no worries Savvy I think it's an awesome challenge. We adopted a barn cat last year for our barn and I was mostly in charge of caring for her although I got her for more dad. She was tame in just a few months :) There are no ferals around here now sadly. I always did like taking care of them when we did have some. Two of our cats were formerly feral kittens, part of a litter of 5 that was brought into our backyard by their mama when they were about 10 weeks old. We contacted the Humane Society, but were told that because it was "kitten season", if we brought them in, unfortunately they would probably be euthanized due to the sheer volume of kittens in the shelter. Because we had another cat with health issues, as much as we wanted to, we just couldn't bring them all in. Instead, we started spending time with them multiple times a day to help socialize them. We provided food, water, and love, and as they started getting used to us, we were able to worm them, apply flea control, and work with a local TNR group to have them spayed and neutered. As they grew up, 2 of them moved on to other territories and 1 was taken in by a neighbor. We ended up taking in the last 2 kitties, and Trouble and Squirt have been with us ever since. Luckily, they were healthy and our other cat Jasper adjusted to them very well. All 3 boys are now inseparable. Awesome story! I have also "tamed" a few ferals before. Even some of the adults I think can be coaxed into becoming a little more tame. Sure, some are more wild than others but it takes some patience. Either way, it's nice to have people that care for them. Great post! We wish that everyone would step up and have compassion for feral kitties. It's sad that they are often killed and forgotten. They need our help! We have friends who care for feral cats and we admire their efforts. Feral cats deserve love and attention and care just the way our indoor kitties do.